A tragedy at a Florida nursing home made national headlines when it was discovered that eight residents died as a result of exposure to intense heat. The nursing home reportedly lost power (and thereby air conditioning) when Hurricane Irma hit the state. However, there appears to be evidence that facility management and staff may have neglected to take the necessary precautions to protect their residents. For example, the nursing home where the eight deaths occurred was previously cited by state authorities for having generator and maintenance issues, according to Fox News. The Florida Agency for Healthcare Administration conducted a recertification survey at the nursing home in 2016 and discovered that it failed to properly maintain an emergency generator. The state report went on to declare that the facility was unable to produce any written documentation to substantiate the existence of an operational emergency generator. If it can be shown that the nursing home engaged in conduct that was careless or reckless, the facility, and its management, can be held liable for the damages caused by that negligent conduct. 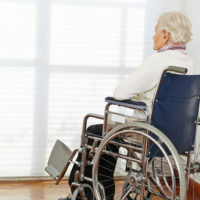 Negligence refers to the failure of a nursing home employee, or management, to address known health and safety hazards (e.g., losing power and air conditioning for multiple days). Even if the negligence was on the part of a single employee, the entire nursing facility can be held liable under the legal theory, respondeat superior. This is a Latin phrase meaning “let the master answer.” Basically, it means that an employer can be held responsible for an employee’s neglect while they are engaged in actions falling within the scope of their employment. If your elderly loved one was injured while under the care and supervision of a nursing home, you may be entitled to pursue compensation for those harms and losses. Recoverable damages in a nursing home neglect lawsuit typically include compensation for incurred medical expenses, emotional distress, mental anguish, and inconvenience. If your loved one died while in the care of a nursing home, the representative of your loved one’s estate (typically a family member) has the legal authority to file a wrongful death claim seeking similar forms of economic and non-economic damages. The Florida Legislature enacted a series of time limits that apply to the filing of civil lawsuits. Under Florida Statute § 429.296, a lawsuit brought by the representative of a victim who died in a nursing home must be filed within two years from the time the death occurred. Waiting longer than two years to file a lawsuit is a major mistake and may result in you losing the ability to hold the nursing home accountable. Gillette Law, P.A. understands the complexities of Florida personal injury and wrongful death laws. When you hire our firm, we will get to work right away by reporting the abuse or neglect to the proper authorities and file a claim seeking monetary compensation for your harms and losses. Contact our office today to schedule a free, confidential consultation.